October 25th and 26th, Yoga in Indonesia held a special event, "Mindfulness Immersion" a Yin Yoga workshop with Chris Su, a yoga teacher from Malaysia. 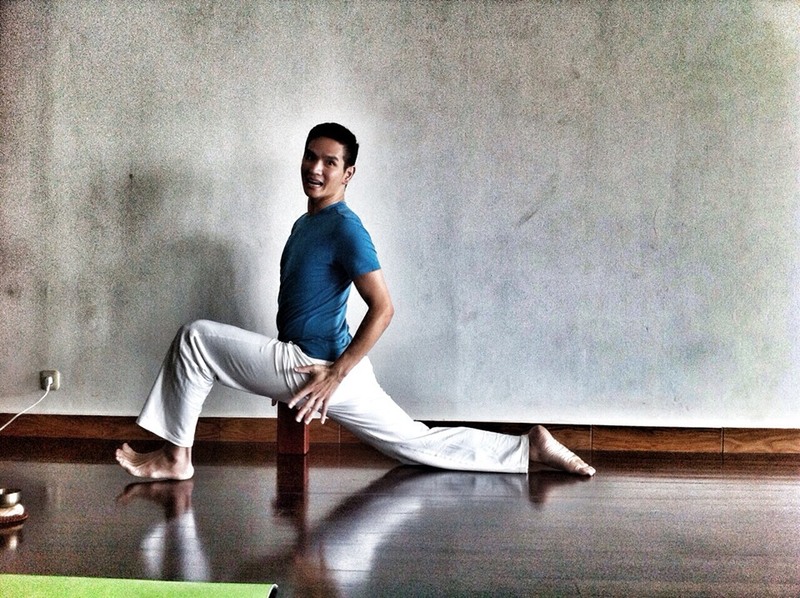 Currently, Chris Su is travelling to different continent in Asia to share his passion and knowledge of Yin Yoga. According to Chris Su "Yin Yoga is a type of yoga practice in which it complements the Yang yoga practice. Yang yoga poses basically are more dynamic and mostly active or fast in nature"
The workshops were being held during weekends and 4 topics were covered. On day-1 we covered Introduction to Yin Yoga Principle and in this session, participants were taught about the differences between Yin and Yang Yoga, how to balance the Yin and Yang’s energy flow in the body, both Yin and Yang’s anatomy structures and to be able to understand the Yin Yoga’s principle, practices and it’s primary series. On Day-2 we talked more about Deeper Understanding of Yin Yoga for Hip and Spine, participants will be able to understand how the Yin Yoga practice could bring healing to the body by working the meridians of the body. By understanding the Meridian Theory, participants will be able to know and find the ease of movement and be relieved of all tensions and tightness of the body around the area of lower back, hips, neck and shoulder. All participants were happy about the workshop and we thank Chris Su and Leonard Lam for flying all the way from Malaysia to share their knowledge of Yin Yoga to the Jakarta yoga community.